Who we are? Stylish hostel in downtown of Lviv. We offer comfortable, clean and affordable rooms for open minded travelers. We are located in the heart of downtown, right next the main square. Do you like spending money on public transport or taxi? We don't, that's why we are at the main square. Must-see places walk-able from here. Go directly to your bed from a disco or a museum or opera house or wherever you want. 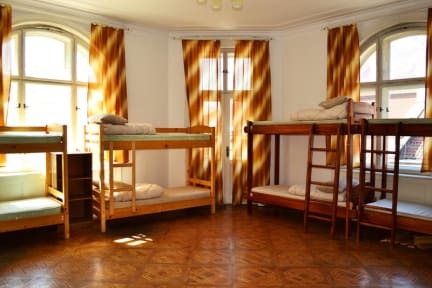 You can choose between comfortable and spacious dorm rooms for 10 and 6 persons or cosy and also spacious private rooms – double and triple rooms. Also you can use fully equipped kitchen and connected common area – for chatting, new meetings and having a rest!